Growing up I never really gave much to religion. I kind of half heatedly figured that there must be a God, and if I had a problem I’d usually squeeze my eyes shut and pray for a resolution. But then, having lived 20 relatively woe free years, my mother, aunt and grandmother passed away suddenly in the space of a few short months. Suddenly the question of religion seemed rather more important than it had before, and I turned to books (of course) to try and make sense of the belief forming inside of me that, hmm, maybe there is no God? Dawkins, Hitchens, Mills, I read them all, and I can’t say that they didn’t help me but man, what I wouldn’t give for a time machine to send back to myself a copy of Terry Prachett’s Nation. (Well, possibly I'd work on preventings of those deaths that caused all the introspection in the first place, but failing that...) Every person, no matter the age, who has ever struggled questioned the big man in the sky should read this book. Because at it’s heart that what this book is about; questions. Mau and a shipwrecked white girl are the only survivors on a small island after a terrible tidal waves rips through and, having looked upon the bodies of everyone he ever knew, Mau has some questions. They creep up slowly at first, but before long he’s rejecting the Gods he has spent his whole life believing in. The life of Mau and the life of Megan (that's me!) could not be more different, and yet the way he starts to question the world around him, almost guiltily at first and then with growing confidence, was so familiar it was almost painful to read. But! Other survivors who eventually reach Mau island (some nice, some decidedly not) still believe in their Gods, and this is what sets Nation apart. Other “atheist” books tend to dismiss if not openly mock those with faith, seeming to suggest that if you believe in God then you’re a bit of an idiot, really. (And then get all hurt when people call atheists arrogant...). In no way does Prachett do this. The characters who do believe in the Gods are treated as sympathetically as Mau. Because this is not a book about rejecting God, it’s a book about questioning God (and colonialism, but I’m trying to keep these reviews short so we won’t even go into that). Nation is a celebration of curiosity and the importance of science and discovery, and how such things need not be mutually exclusive with the Great Almighty. Believe in God or don’t, either’s fine, Nation says, but don’t just believe blindly because you’ve been told to. I wish I was rich enough to take out billboards across the globe with that message on them, Happy Xmas (War is Over) style. And of course, it almost goes without saying that in addition to being a deep exploration of life, the universe and everything Nation also displays all the wit and dancing prose for which Prachett is so loved. It is a darker book than the Discworld novels, to be sure. 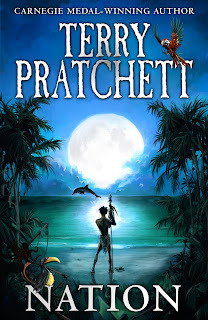 There is humour, and humour galore, but there is a bittersweet undertone to it that the Discworld books rarely touch upon. 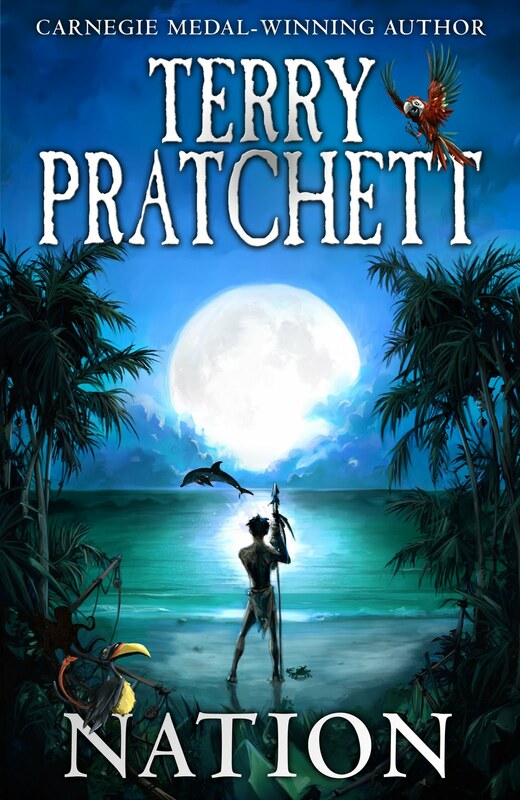 If you like Discworld you’ll like this one, if you don’t like Discworld (such people exist?) you may well still like this one and, most importantly, if you’re at a point in your life where you’ve got more questions than your head knows what to do with, then you need this one.